Dikter, noveller, prosafragment is a collection of short stories, essays and poems published between 1947 and 1955 in Stockholm. This is not a homogeneous collection, the events are not connected one to each other. They tell stories of different characters in different times and in different places, and each story is written with a specific style, which identify the story itself in the whole collection. The common thread that binds the book’s short masterpieces is inquietude, deep anguish, destined to condense into an intimate tragedy, each time with different proportions, depending on the story. We witness from the tragedy of a driver who runs over a child by a mistake, then to the a student who has to face muteness of a teacher who lost all respect for him. We again witness from impoverished children’s desperation realizing what misery is, to a dreamt adultery, which is not fulfilled though, for fearfulness and ingenuousness. So, these segments are only apparently unconnected, they are indeed linked by a sense of tension and a blanket of melancholy. Like in projective geometry, these stories are parallel lines that, even though they never connect according to other perspectives, however they meet in a single vanishing point, the observation of a gap in the fabric of reality’s canvas, which emanates a breath of great literature. All main characters are children or young people. Real desperation ain’t learning to know death, to wait for it, to walk with it, or at least to be afraid of it, on the contrary desperation is unveiling deception of life, in understanding that the mere existence constantly condemns us looking for everything is impossible to find. Dagerman’s youth doesn’t enjoy author’s sympathy, though, or at least this is well hidden. Pain is a fact inextricably linked to life, it’s air, water, life couldn’t be without it. 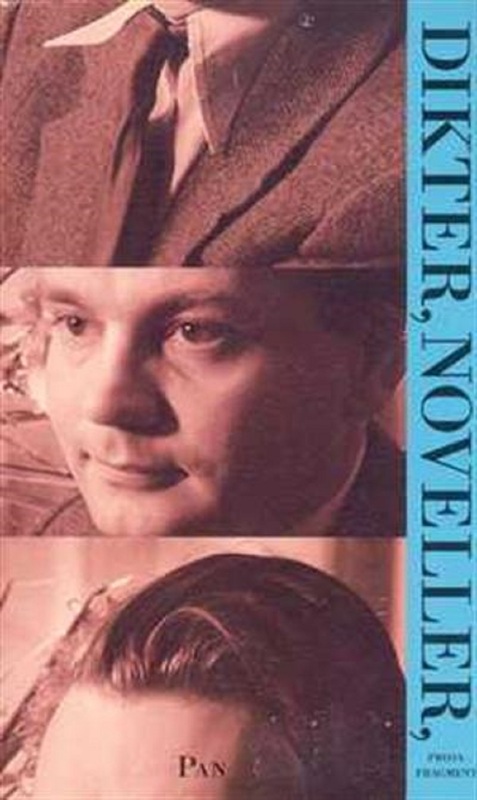 Reading Dikter, noveller, prosafragment can be hard, because hard is the emotional tension aimed at a non-resolution, for the same reason why standard reader tends to imagine an end anyway, even if this is not present in a book. But this is definitely a deep reading that opens up before us literary work in the noblest sense of the term, literature as an intellectual step to overcome to enrich our intimate world. To define Dagerman’s philosophy one must go for exclusion in literary scene. It isn’t Kafka’s anguish, where the clearest evidence of the alienation is the reductio ad absurdum of human mechanisms; it isn’t Leopardi’s pessimism, from which animals and children are excluded (and even only here the difference with Dagerman is clear), because a deluded escape isn’t even possible with the suspension of the reflection; and Dagerman’s defeated of “The traveler” aren’t even Steinbeck’s ones, because American author’s despair is given in a Marxist sense from causes within the socio-economic mechanisms, while in the Swedish author viewpoint social abuse is just one of the many manifestations of human anxiety. In the last story of the book, we observe a kind of bequest, almost a farewell message after the final goodbye, succinctly expressed like: “Here lies a Swedish author fallen for nothing. His fault was innocence, forget him often”. It is innocence, then, the human fault. Therefore Dagerman offers an interpretation. Childhood’s despair, analyzed in all its own angles, thus derives from a ‘guilt of innocence’, a sort of original sin, but in an atheist perspective, due only and exclusively to our presence in the world. And tragedy is ready to appear again in any situation, big or small, looming on our existence, without any chance of escape. Emblematic in this sense are Dagerman words: “great tragedies are already all happened since long time. We can read about them in books, or see them in theater. Nowadays only minor tragedies occur”. It is clear that momentous tragedies, then analyzed on an individual basis, they project themselves into inner world single subjects’, but even when there are no collective upheavals, everyday human life constantly makes us face situations full of anguishes, that never allow the perfect fulfillment of human consciousness. Even if they’re minor tragedies, then, they are still tragedies. Stig Dagerman was born in 1923 in Älvkarleby, a little Central-Southern Sweden town, near the university town of Uppsala. He got a happy childhood, despite the abandonment of his mother, but his youth was marked by grieves and painful separations, and from the beginning he choose to take the “ the last men” side. German Autumn is one of his own works, which is a brave reportage from 1947 about post-war Germany, in which the author, with much perspicacity and delicacy, analyzes the conditions of the most hated people in the world, the real “last men”, the defeated Germans. In his production, intense content-wise, but chronologically limited to only 5 years, the Swedish writer constantly explores anguish, fear and atonement. Sunk into a deep depression, Dagerman closed his life when he was only 31 years old, locking himself in his garage in Stockholm and poisoning with his car’s carbon monoxide. Tuscan by birth, stateless by adoption. She graduates in Literatures and studies useless languages, specializing in Publishing. She loves reading, eating pizza and seeing rainbows. She hates the rain, the misused expressions and injustices.